**Butterfly Bones: A Poignant, Coming-of-Age Soft Sci-fi Series (METAMORPHOSIS Book 1) (Deal, Not Free) by Rebecca Carpenter, Kate Foster. Price: $0.99. Genre: Science Fiction Deal of the Day, Sponsor, Whimsical, Coming of Age. Rated: 4.4 stars on 30 Reviews. 248 pages. ASIN: B01M1E9854. *Armageddon and Beyond (Deal, Not Free) by Adam Declerck. Price: $9.95. Genre: Post-Apocalyptic Science Fiction Deal of the Day, Sponsor, Battle of Armageddon. Rated: 5 stars on 1 Reviews. 895 pages. ASIN: B074CSFYHW. *(Free for Kindle Unlimited) Songshifting (Deal, Not Free) by Chris Bell. Price: $4. Genre: Dystopian Science Fiction Deal of the Day, Sponsor, Cyberpunk. Rated: 4.6 stars on 3 Reviews. 317 pages. ASIN: B01LWHWSV2. *Hunting Snow Tops: 2034 (Trilogy-Part One Book 1) (Deal, Not Free) by Sir Charles Sirtup III. Price: $1.99. Genre: Science Fiction Deal of the Day, Sponsor, Alternative History. Rated: 5 stars on 1 Reviews. 380 pages. ASIN: B07236714D. ISBN: 152095011X. *The Billionaire’s Graveyard (Deal, Not Free) by Damian Connolly. Price: $0.99. Genre: Science Fiction Adventure Deal of the Day, Sponsor, If you like Jurassic Park. Rated: 4.2 stars on 9 Reviews. 98 pages. ASIN: B0741T5GQX. If you liked Jurassic Park, you’ll love this book. *The Madman of Red-New York (Deal, Not Free) by M. Y. Kay. Price: $0.99. Genre: Dystopian Science Fiction Deal, Sponsor. Rated: 5 stars on 1 Reviews. 54 pages. ASIN: B0733HFTMD. This book reminds us of Catcher in the Rye. *Troop of Shadows: Book One in the Troop of Shadows Chronicles by Nicki Huntsman Smith. Price: Free. Genre: Science Fiction, Sponsor, Space Marine. Rated: 4.5 stars on 46 Reviews. 327 pages. ASIN: B01E4KAD8U. *Supergiant (Gigaparsec Book 2) by Scott Rhine. Price: Free. Genre: Adventure Science Fiction, Exploration Science Fiction, Military Space Fleet Science Fiction. Rated: 4.7 stars on 13 Reviews. 324 pages. ASIN: B010H0PIP4. ***(Free for Kindle Unlimited) Battlefield Earth: Post-Apocalyptic Sci-Fi and New York Times Bestseller (Deal, Not Free) by L. Ron Hubbard. Price: $7.99. Genre: Science Fiction Deal, Sponsor, NY Times Bestselling Author of 19 Books. Rated: 4.9 stars on 999 Reviews. 998 pages. ASIN: B01B41I4NI. NY Times Bestselling Author of 19 Books L. Ron Hubbard. *Plexus by Troy Wilcoxson. Price: Free. Genre: Science Fiction, Military. Rated: 5 stars on 7 Reviews. 277 pages. ASIN: B00UGNZ3HG. *Elissa Blue: Book One of The Winged by T.K. Perry. Price: Free. Genre: Science Fiction of the Day, Sponsor, Genetic Engineering. Rated: 4.6 stars on 26 Reviews. 462 pages. ASIN: B01MR828OL. *Initiation (Ava & The Trinity Trilogy Book 1) (Deal, Not Free) by C J Black. Price: $0.99. Genre: Science Fiction Deal, Sponsor, Steampunk. Rated: 4 stars on 6 Reviews. 498 pages. ASIN: B06X3W6DNZ. The Star Child (The Institute’s Dark Days Book 1) by C.D Cardinet. Price: Free. Genre: Paranormal & Urban Fantasy, Adventure Science Fiction, YA Science Fiction. Rated: 4.5 stars on 6 Reviews. 352 pages. ASIN: B00WAN0YN8. *The Madman of Red-New York (Deal, Not Free) by M. Y. Kay. Price: $0.99. Genre: Dystopian Science Fiction Deal of the Day, Sponsor. Rated: 5 stars on 1 Reviews. 54 pages. ASIN: B0733HFTMD. This book reminds us of Catcher in the Rye. *Troop of Shadows: Book One in the Troop of Shadows Chronicles by Nicki Huntsman Smith. Price: Free. Genre: Science Fiction of the Day, Sponsor, Space Marine. Rated: 4.5 stars on 46 Reviews. 327 pages. ASIN: B01E4KAD8U. ***(Free for Kindle Unlimited) Battlefield Earth: Post-Apocalyptic Sci-Fi and New York Times Bestseller (Deal, Not Free) by L. Ron Hubbard. Price: $7.99. Genre: Science Fiction Deal of the Day, Sponsor, NY Times Bestselling Author of 19 Books. Rated: 4.9 stars on 999 Reviews. 998 pages. ASIN: B01B41I4NI. NY Times Bestselling Author of 19 Books L. Ron Hubbard. *Aberrance (Deal, Not Free) by Chi Dong. Price: $2.99. 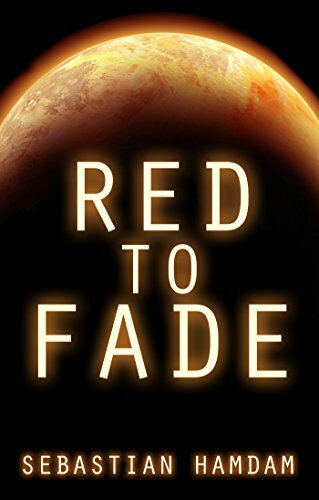 Genre: Science Fiction Book Deal of the Day, Sponsor. Rated: 5 stars on 2 Reviews. 357 pages. ASIN: B06XQ6ZQ7D. *Initiation (Ava & The Trinity Trilogy Book 1) (Deal, Not Free) by C J Black. Price: $0.99. Genre: Science Fiction Deal of the Day, Sponsor, Steampunk. Rated: 4 stars on 6 Reviews. 498 pages. ASIN: B06X3W6DNZ. *The Billionaire’s Graveyard (Deal, Not Free) by Damian Connolly. Price: $0.99. Genre: Science Fiction Deal of the Day, Sponsor. Rated: 4.2 stars on 9 Reviews. 98 pages. ASIN: B0741T5GQX. If you liked Jurassic Park, you’ll love this book. *The Heartless City (The Gold and Gaslight Chronicles Book 1) by Andrea Berthot. Price: Free. Genre: Science Fiction, Steampunk, Historical. Rated: 4.6 stars on 43 Reviews. 246 pages. ASIN: B012UUTFVM. *Guilty Deeds (Deal, Not Free) by Scott D. Smith. Price: $3.99. Genre: Science Fiction Deal, Sponsor, Genetic Engineering. Rated: 5 stars on 7 Reviews. 304 pages. ASIN: B071V79QLT.